Whether in business or in your personal life, you can’t get ahead without the help of other people. You lose the job or promotion you want. Your competitor lands the big client you’ve chased for a year. Your business idles, stuck on stagnant. You miss that adventure or opportunity you craved forever. If your bosses, clients, or customers–even friends and associates–don’t get you, you get left behind. I wrote Prism of Value® to give you the power of influence that recruits others to help you activate your vision, dreams and ambitions. Unify a diverse team around a shared, irresistible dream. Be the one who gets the contract, the job offer, the yes. 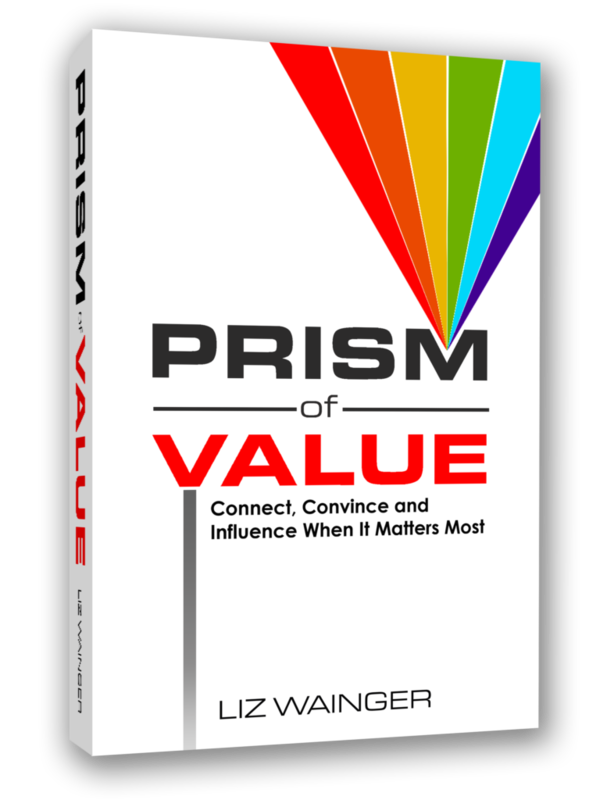 If you want to communicate effectively so you connect, convince and influence those who matter most to your success–and to your life–Prism of Value® is for you.